Several young men from the Chivelstone Parish were killed in the First World War, but fortunately not so many in the Second World War. 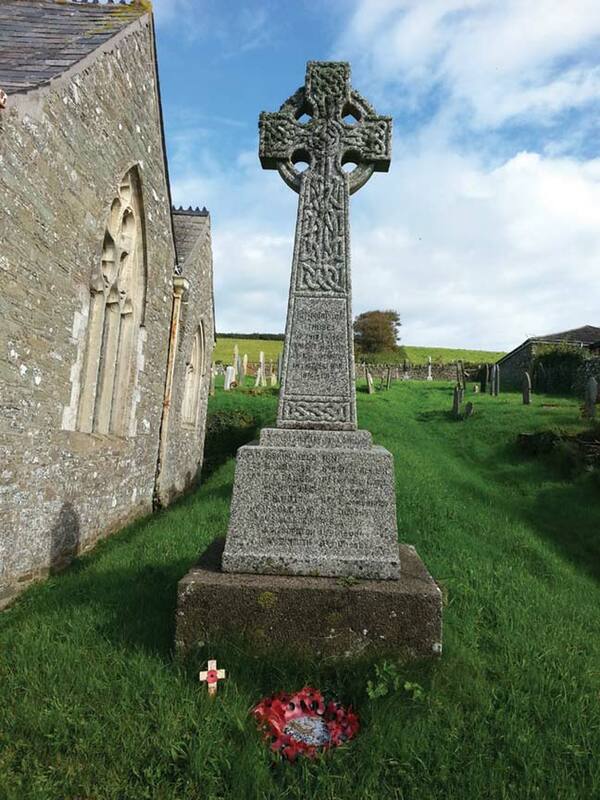 In the Woodleigh Deanery Magazine of April 1919: it was decided to ‘place a Parish Memorial in the Churchyard to our men who have fallen in the War,’ and in February 1920: We had a goodly muster of people from all directions at the Dedication of our War Memorial. After Evensong in Church, at three o’clock we passed into the Churchyard, where the Rural Dean offered appropriate prayers. A wreath was placed at the foot of the monument which is surmounted by a Celtic Cross, with the names of the men in letters of gold. They gave their best for us and we should give our best for them. The muffled peal added a note of solemnity suitable to the occasion. In memory of those of this parish who gave their lives for King and Country in the Great War 1914-1918. Their name liveth for ever.